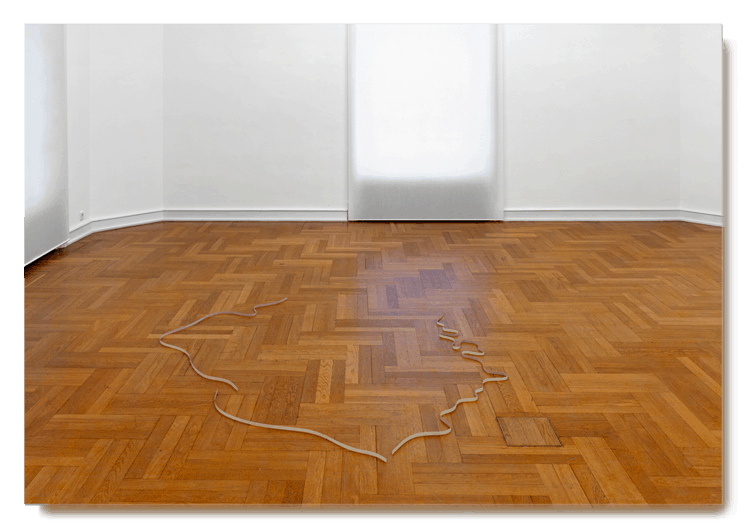 Contemporary Lynx invites curators, collectors, gallery owners, and people from the art world to share with us the most interesting, important or intriguing artworks by Polish artists. Each of our guests will select one piece of art and present it to us in the form of a postcard. This bite-size selection chosen by top experts and art aficionados aims to show the vibrancy and quality of contemporary Polish art. 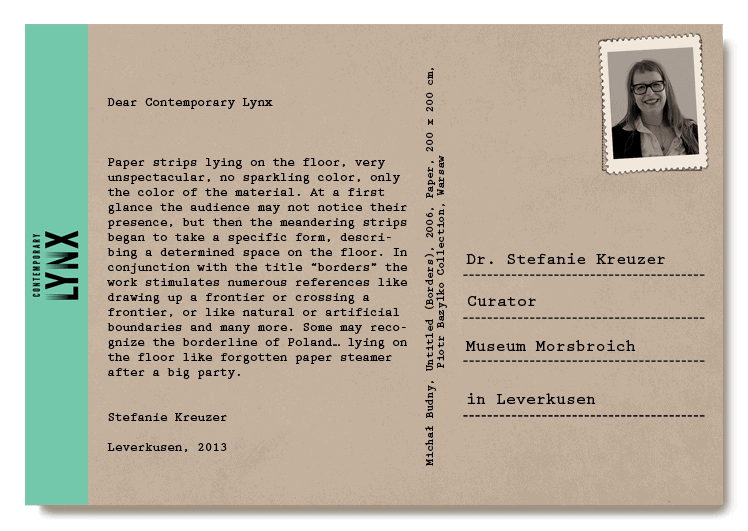 Dr Stefanie Kreuzer is a curator at the Museum Morsbroich in Leverkusen. Kreuzer studied art history, German and Italian in Mannheim, Berlin and Rome. She gained her PhD with a thesis on disasters as a mode of change within cultural systems, using the example of the transition from the 1970s to the 1980s. She then worked in Berlin as a research assistant at the Hamburger Bahnhof, Museum für Gegenwart (Museum of contemporary art) and at the New Society for Visual Arts (NGBK), where she was a member of the working party “Unterbrochene Karrieren – Kunst und Aids” (Interrupted careers – art and AIDS). Following a traineeship at K21 Kunstsammlung Nordrhein-Westfalen (Art collection of North Rhine-Westphalia) in Düsseldorf, she became director of NAK Neuer Aachener Kunstverein (New Aachen art association). As a writer and editor Stefanie Kreuzer has published essays on contemporary art, art of the 1980s and semiotics. Her main areas of interest relate to issues of knowledge production and the theory of signs – particularly with regard to the image as a cognitive instrument used in the generation of meaning. Michał Budny – 1976 born in Leszno, lives in Warsaw. Using simple materials such as cardboard and paper, Michal Budny creates objects, installations, models, not only of objects, places and situations, but also of phenomena which do not have a fixed material form, such as voice, memory, rain or a ray of sunlight.